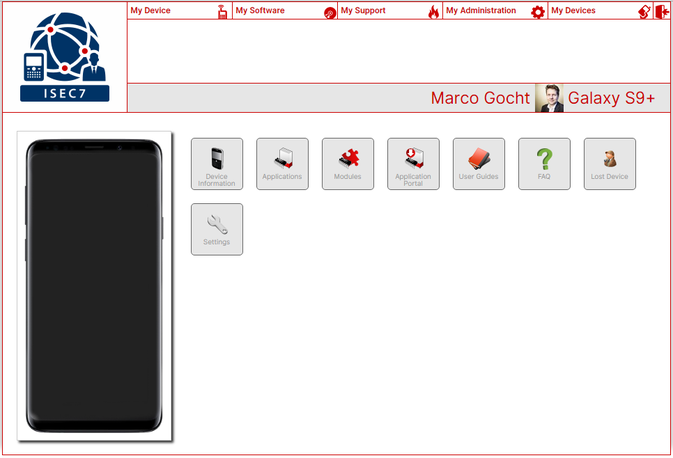 The ISEC7 EMM Suite includes a fully customizable User-Self-Service Portal, which offer self-service capabilities to all mobile device related MACD tasks as well as device insights. By providing corporate branded guidelines and training videos, customers can reduce the cost for end-user onboarding and device replacements significantly. In addition, the ISEC7 EMM Suite offers a unique migration toolkit, which provides an unmatched user and IT operations experience for all migration scenarios in the enterprise mobility space.